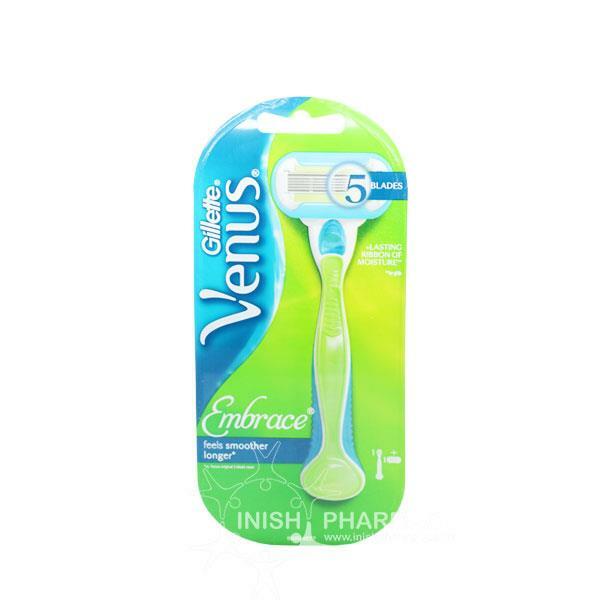 Gillette Venus Embrace Razor designed with 5 curve-hugging blades to give you that ultra-close shave to leave you with beautiful smooth legs. It features a lasting ribbon of moisture so legs feel extremely smoother for longer. Easy to change refills available.